Search Results for "coffee friends"
Close up shot of a beautiful young woman laughing joyfully talking to her friend while having coffee together. Female friends enjoying breakfast together at the coffee shop. 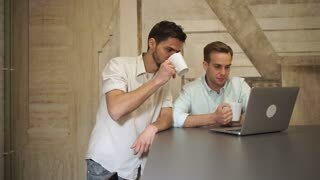 Two friends drinking coffee after work. Portrait of stylish young cute smiling girl using modern smart phone while walking in the city. Lady typing text message on cellphone and drinking coffee to go, waiting for friend outside. Close-up portrait of stylish young cute smiling girl using modern smart phone while walking in the city. Lady typing text message on cellphone and drinking coffee to go, waiting for friend outside. Young man in casual shirt talking on smart phone with friends and drinking the coffee while sitting in the airport lounge. 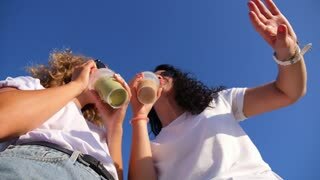 Two female friends chatting and drinking coffee outdoors. 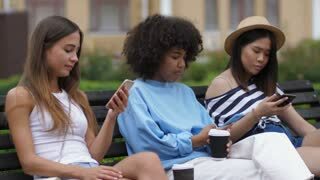 Carefree laughing multi ethnic girls watching funny video content online on cellphone while relaxing on the bench. Joyful female friends resting outdoors with takeaway coffee and sharing smart phone. 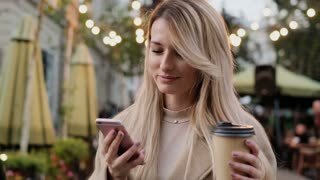 Close up shot of handsome girl in the black hat and stylish scarf drinking coffee and using smart phone for chatting with friends while walking in the sunny park. Dolly shot.